The Functional Medicine Coaching Academy offers a 12-month course that trains health coaches to help patients manage chronic diseases and improve their overall health and wellbeing. Students develop skills in functional medicine, functional nutrition, mind-body medicine, and positive psychology. Graduates from the program further their careers as health professionals by gaining leadership and empowerment skills as well as by receiving professional accreditation and access to alumni networks. Patients who choose to work with a health coach, alongside medical professionals, are able to personalize their care through lifestyle changes and preventive interventions. 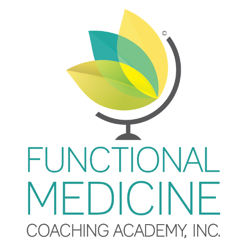 The Functional Medicine Coaching Academy (FMCA) is a 12-month online educational program founded by Dr. Sandra Scheinbaum and Elyse Wagner to train and educate health coaches. The founders recognize the importance of diet and lifestyle changes in chronic disease prevention as well as the usefulness of health coaches who can work alongside clinicians to improve outcomes for patients. In 2014, they started the academy to improve the lives of patients with chronic diseases. Upon completing the program, students become certified health coaches who can help patients manage chronic disease and improve their overall health and wellbeing. The online course concentrates on four areas that provide health coaches with the tools to guide their patients. The first is functional medicine. Health coaches are taught to work with their patients to understand the root causes of chronic disease. Patients’ genetic, biochemical, and lifestyle data all play a role in providing a personal treatment plan. Coaches learn the skills to teach their patients how to engage in sustainable, positive diet and lifestyle changes. The next area that coaches are trained in is functional nutrition. Coaches learn to understand food as medicine, necessary to promote our wellbeing. Coaches focus not just on what their patients eat but when and why they eat those foods as well. A specific focus is the emotional factors that cause eating behaviors. Coaches also learn that diet should be personalized according to patients’ genetic expression and specific lifestyle choices. Coaches then learn to understand mind-body medicine, which “examines how emotions, thoughts, imagery and beliefs directly impact physical health, including DNA expression.” This training is necessary to promote stress relief and holistic healing practices among patients. Finally, coaches are taught to understand positive psychology. Instead of just treating symptoms of chronic disease, coaches are taught to encourage patients to thrive and live positively, which can result in favorable health outcomes. Further, coaches are taught the art of coaching, which includes skills in creating plans, overcoming barriers, and inspiring and empowering patients. Students who enroll in the Functional Medicine Coaching Academy gain access to a variety of resources that allow them to further their careers as health professionals. They receive accreditation from the Institute of Functional Medicine, develop confidence and leadership skills, and are able to have a positive impact on others. Through teaching others to improve their health, coaches also have the opportunity to improve their own health and wellbeing. Upon course completion, students have access to networking opportunities among FMCA alumni. The many benefits of FMCA certification serve as a model for other training programs to encourage enrollment and increase the number of health coaches and peer mentors who can play a key role in chronic disease prevention and management. Patients who choose to work with heath coaches are able to better manage their chronic disease as well as improve their overall health and wellbeing. Patients are empowered to make lifestyle changes and reach their health goals when working with coaches. They also learn how to navigate health systems; working with health coaches in conjunction with medical practitioners allows patients to receive a variety of care and get the most out of their sessions with coaches. “Curriculum,” Functional Medicine Coaching Academy, Inc., 2017, https://www.functionalmedicinecoaching.org/curriculum/. “Prospective Students,” Functional Medicine Coaching Academy, Inc., 2017, https://www.functionalmedicinecoaching.org/prospective-students/. “Home,” Functional Medicine Coaching Academy, Inc., 2017, https://www.functionalmedicinecoaching.org.